The LEGO Group has signed on to be the first ever global sponsor of Nickelodeon’s Kids Choice Awards. The slime-filled event has been running for a number of years and offers a kid-centric take on the awards format, which features a drop or two of slime. The partnership will feature an international campaign across Nickelodeon’s major markets in the US, Europe, Latin America and Asia Pacific territories. 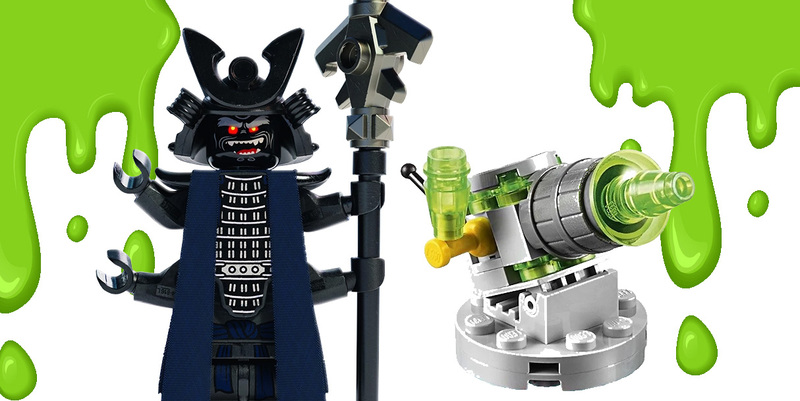 The LEGO® NINJAGO-themed sponsorship will kick-off with a stop-motion short featured on social media and TV, that will see Lord Garmadon try to get his many hands on a powerful slime gun. The Masters of Spinjitzu must rush to save the day and stop the world being covered in slime. Following the short teaser, the full story will be shown on Nickelodeon’s YouTube channel. The partnership will also see the campaign featured on numerous billboards and various LEGO and Nickelodeon social media channels. The Kids Choice Awards take place on March 23rd.